As parents we appreciate a gift for a good cause, we all know how wonderful it is to be able to buy toys and gifts for our kids, which give back. The younger family members all love presents and we know how lucky we are that we can buy a child a gift when many others can’t afford to. That is why it is good to remember sometimes that not everyone is as fortunate as ourselves, and how we can make the world a better place by giving to charity. A really cool new trend has been slowing building momentum, often refereed to as gifts that give back or charity gifts. Spending a little extra time to find the best charity gifts is worth considering if you have not done so before, because ever little helps. If you’re looking for a great charity gift, this review is for you, as we’ve looked long and hard through Amazon in order to find the best donation gifts that give and share with you with our suggestions. Every time you buy one of these philanthropic gift ideas, a percentage of the profit made by the company goes to charity, so they are wonderful ways to give both to your loved ones and to those who need help. 0.1 Why buy Gifts for Charity Causes? Why buy Gifts for Charity Causes? Well, as we all know, we sadly do live in an a world with many problems and injustices, and giving to charity is one of the many ways we can try to make a difference. It is a good way to help others and also be thankful for the blessings we have. What we really like about these charity gifts is that we are not just giving money away, but contributing to a system that shares wealth. Also, as many of these products give back to manufacturers in poorer countries or with disabilities,when you buy one of these gifts that go to charity, you are contributing to giving and income to those who really need it. Getting gifts that support a cause for your young ones is also a great way to educate them and open their minds to being charitable and generous. After you give them a gifts that give back to charity, you can have a conversation with them about the charity that is being contributed to and why you chose this gift. This can be a great way to get them to think about charity without being preachy or self-righteous. If your kids are anything like mine, getting them to stop fidgeting can sometimes feel like a loosing battle. Well, with these cool fidget toys, your kids can keep their hands occupied. These cool and colorful sensory toys are soft and malleable, and they can ease anxiety as they calm, soothe & focus attention. This also comes packaged with an illustrated eBook – a fun, therapeutic story about fidgeting, that helps kids and parents understand the benefits of mesh-&-marble fidgeting. 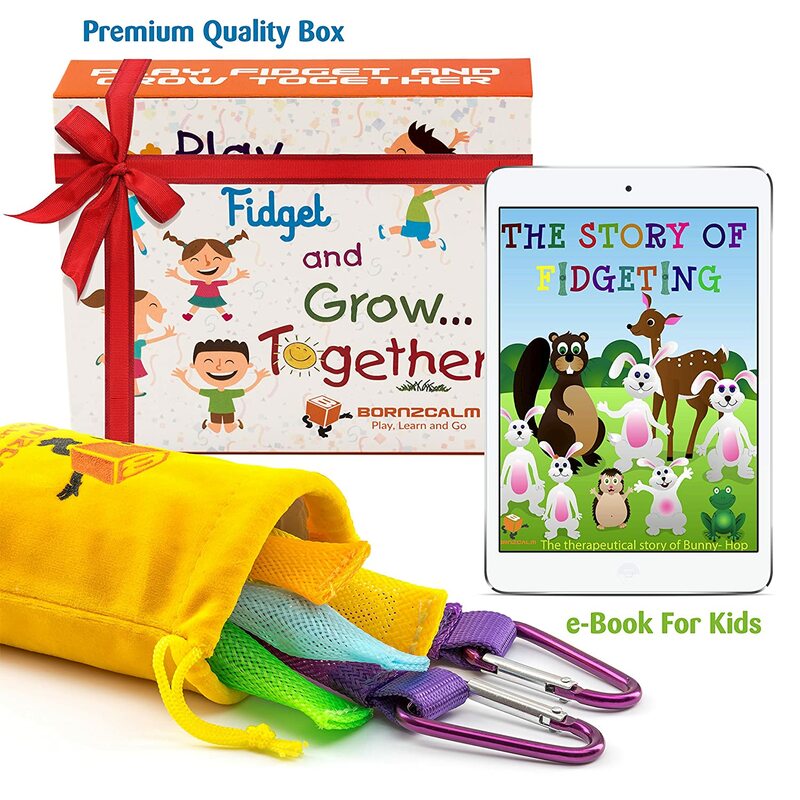 This is a great charity gifts for children for fidgeters, or those who have to deal with ADD, ADHD, Autism & OCD. 10% of the annual profits made on these fidget toys is given to charities that help with autism. Taking your children on holidays and long trips, whether it be by car, airplane or train, can be a real challenge unless you come prepared. After all, its even hard for some adults to sit still for long periods of time, so having some games to play with your kids will make a long journey fun and enjoyable. 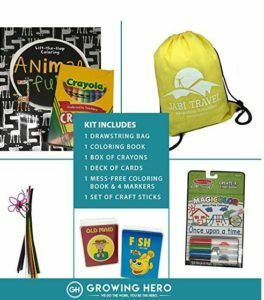 This cool travel pack is one of the best brilliant charitable gift ideas we’ve come across, in that it is very practical but also gives to a worthy cause. This set has everything your children will need to let the time whiz by, with coloring books, stickers, a deck of cards, markers, an E book with printable games, and even more! A portion of the profits from this go to the I Pour Life charity and this lets you donate to a charity of your choice through Amazon Smile. These will be great for 3 and 4 year olds. This is one of the more unusual gifts on this list, but bear with us. Not all charity gifts have to be toys and games, and sometimes practical donation gift ideas can be even more meaningful. 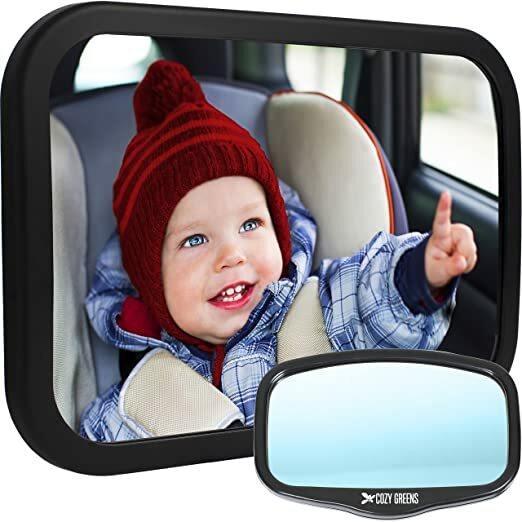 If you’ve got young kids yourself, or if you have a good friend or family member who does, they will really appreciate this helpful rear view baby mirror. This way, you’ll all be able to drive safer as you can keep and eye on your young one without having to turn round to look at them, which is definitely going to be very dangerous and will put not just your family but other drivers on the road at risk. A big portion of all the profits from these baby mirrors goes to the Chances for Children charity, so if you buy this charity gift, you are helping your own child and many others. Are your children into geology or arts and crafts? If so, then this cool rock set might be a great gift that gives back for them. 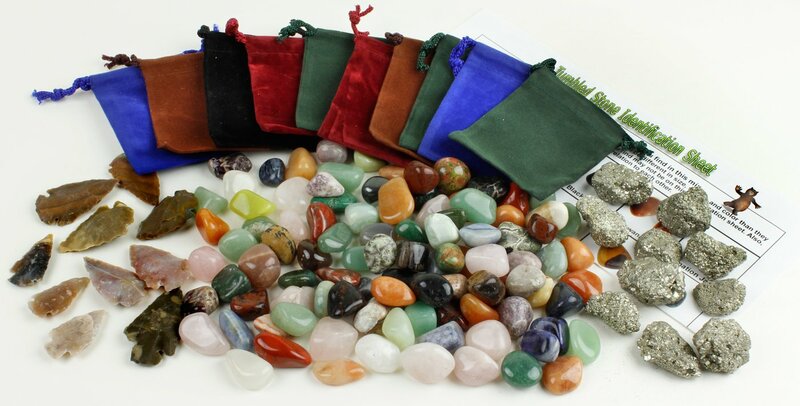 It so many polished and beautifully colored gem stones and your kids will have great fun by sorting the rocks out into the proper bags. This is a great charity gift for kids who love discovering the natural world, and they make fun additions in party bags and Christmas stockings. These kits are made by adults with developmental issues at a special centre in Oregon, so buy one of these and you are supporting and providing wages to this very noble enterprise. On top of that, 10% of the profits are donated to charity. We know you’ve heard of random acts of kindness, but how about random acts of flowers? 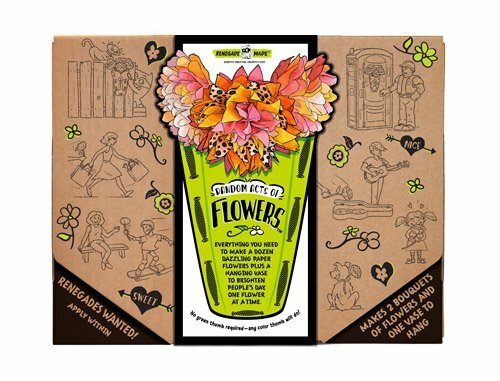 With a whole load of materials, this cool little kit has everything your children need to make a beautiful set of paper flowers which can then be given as a lovely present to family, friends, or even random people who need a bit of cheering up. Whats really great about this donation gift is that for every kit sold, a portion of it goes to charity. This is one of our favorite charity presents, as it is not only contributing to a good cause through purchasing it, but it is also teaching our kids to be kind and generous as well as exercising their artistic skills. We all know that babies have sensitive skin, so you want to get them the softest and warmest materials and fabrics. This cut baby towel not only look adorable, but also its mix of bamboo and microfibers are warm and absorbent, perfect for when your little one has just finished bath time. Better still, 100% (Yes, 100%) of the profits from these towels go to Pencils for Promise, an organization that helps build schools all over the world. This will make a great donation gift for a baby or a new mum. If you are looking for a present for a baby or for a baby shower, a baby body suit is a classic gift that is always going to go down well. These cut suits come in all different colors and have really witty slogans on them, so babies will look adorable in them. Also, they use soft fabrics and high quality printing, so you don’t have to worry about getting a cheap product here. A portion of the profits form each of these baby suits goes to charity Miracle Babies. 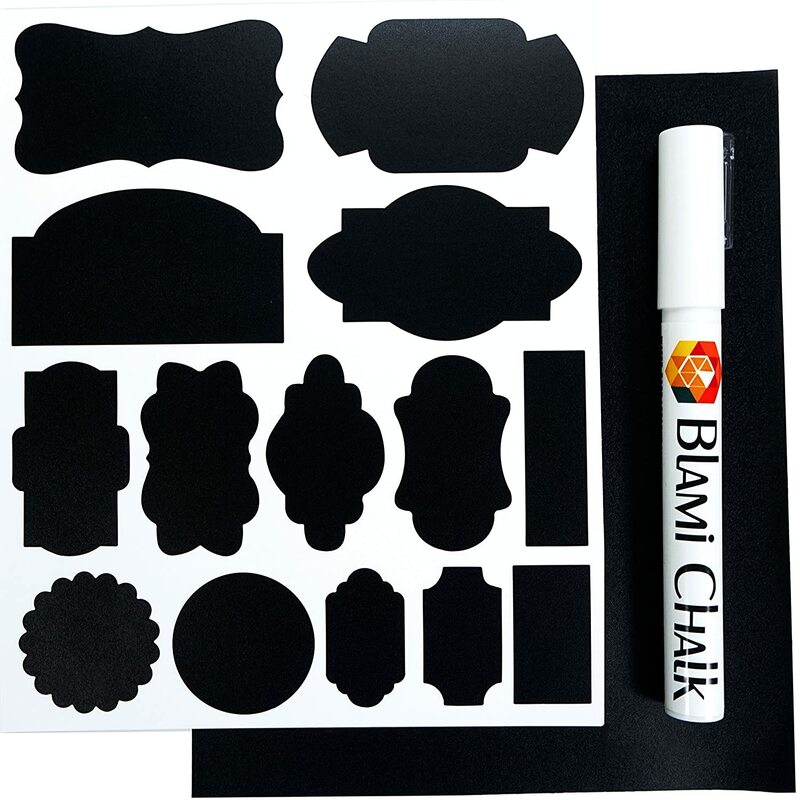 A great charity gifts that a slice of the portion of the sales of these sets is used to help fund children’s art clubs and charity organizations. Taking babies or younger children on long car journeys can be a bit of a challenge, especially when there’s so many things to remember. If you’ve got a baby yourself, or maybe you’re friends with a new family, this practical car organizer is a brilliant charity gift to get them. Get rid of clutter and stay one step ahead of your kids with one of these. These huge organizers have pockets and compartments for just about everything you can think of with bottle holders, zipper compartments and detachable pockets. They hang on the back of the front car seats, and thankfully they have been designed to withstand kicking children. It is also made of safe, odorless, Eco friendly materials. A portion of all the profits from these organizers goes to the Chances for Children Charity. There’s an unfortunate stereotype around the world that Americans don’t know anything about other countries, and its time to prove them all wrong with this cool scratch off map. This cool map world map was handcrafted by a team of world map industry experts, and its very accurate. 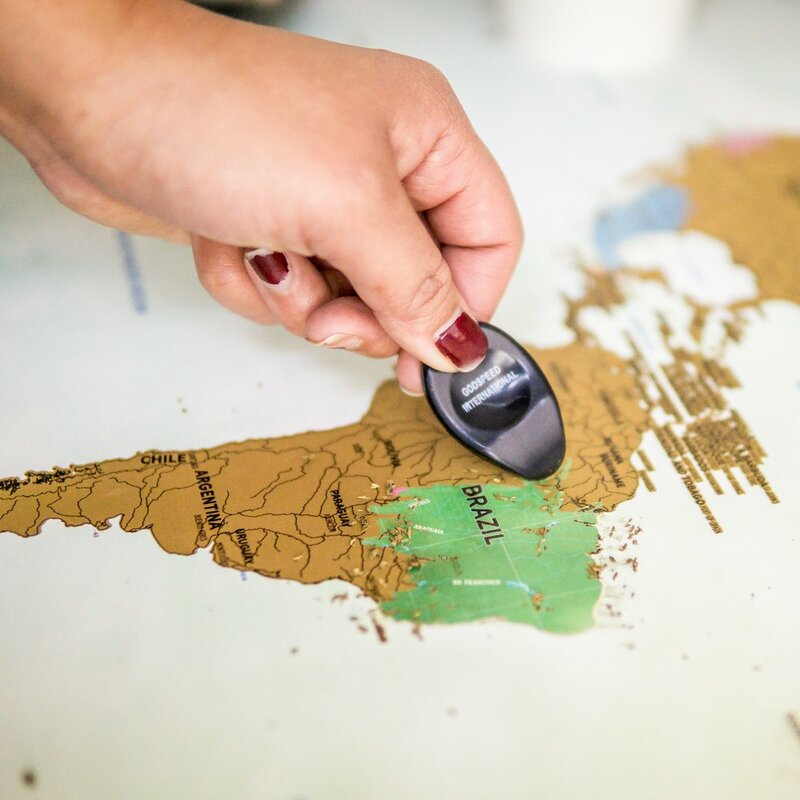 The whole world is covered in dull brown, but underneath it are vibrant colors, so your kid can scratch of the brown in order to show the countries they have been too, or maybe the countries that they want to visit. You can turn this into a cool educational game by scratching off a part of the world and asking your kid to find something out about it. 5% of all monthly proceeds of this company are donated to help,children living in poverty have access to life-changing benefits, like medical care, educational support, life skills and job-training before they graduate. Looking for a gift with a cause for a new baby? These excellent baby slings make great gifts for both new mums and dads. 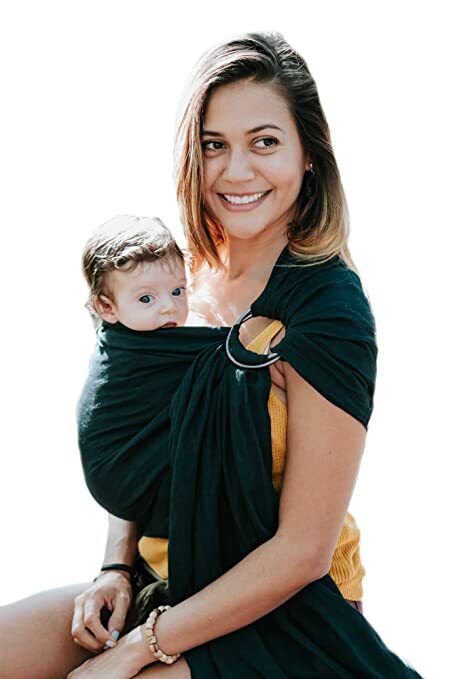 Whether you want to use it so you can do some housework, cook, go out for a walk or even just keep your little one close while you are in the house, these luxury baby slings will make your child feel like they are in your warm and loving embrace all the time. These slings are very strong and durable, yet still soft thanks to their combination of bamboo and linen fabrics. Bamboo fabric doesn’t need to be broken in, and it won’t scratch your babies skin like some tarditional fabrics can. 5% of profits from these slings go to helping low income families in Costa Rica. A gifts that give to charity is a perfect little girls gift that will have endless fun with April, a loving and caring friends that also cares about the education of girls all over the world. This is a really high quality doll, and we love the fact that she will be compatible with most clothes and accessories for 18 inch dolls. We also appreciate that this doll is cool and trendy, yet she doesn’t give into the stereotypical barbie doll style. A % of the profits from this goes to Help Fund Education For Girls In Developing Countries. 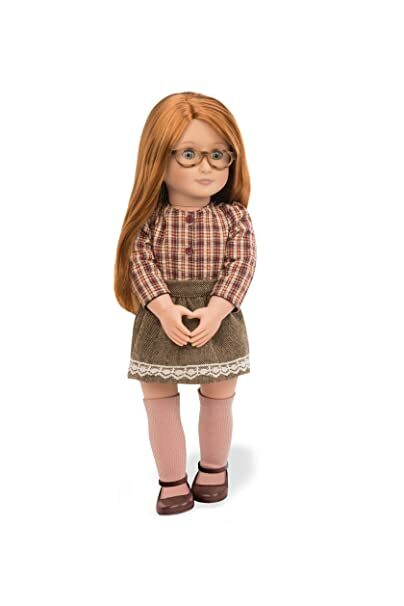 So if you have a daughter and you want to get her gifts that support charity, this doll will bring happiness to your little one and help educate other little girls all over the world. Are your kids animal lovers if so then these are the best donation gifts for them. Personally, I hate the thought of dogs and cats being mistreated or abandoned? If so, these shelter pets stuffed animals might be the top charity gifts for your little ones. These gifts with charitable proceeds are animal plushes and manufactured from quality materials so that they are super soft, cuddly and ready to cuddle when they arrive on your doorstep. Each is made of soft velboa fabric and is stuffed at just the right level for your kids to snuggle up to. 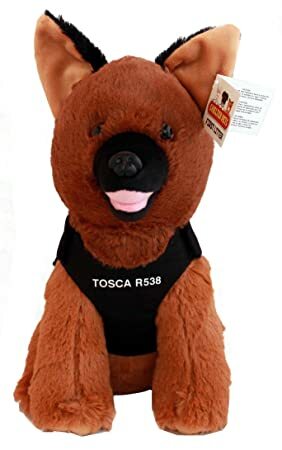 As all toys are based on real life pets which have been rescued, each has a tag with information on the real life animal that inspired it, and a link to the website where your kid can read more about it. 10% of the net sales of these toys are donated to animal shelters all over the USA. These will make wonderful meaningful gifts for children who love pets.